In this article I’ll show the commands I have been using to set up a fresh Centos server, configured for Apache, MySQL, PHP, Tomcat, Drupal, and Apache Solr. For my article, I used Parallels to create a virtual machine from the Centos 5.6 64bit ISOs I downloaded. To simply this article, all commands are being executed as root, firewall configurations and performance tweaks are not accounted for. Once the distribution is installed, the first thing I do is upgrade all packages. Install subversion. I chose to use subversion for this article because the Drupal 6 installation works well with svn:externals to fetch the SolrPhpClient library. All subversion commands are connecting to a local subversion repository. If you are using an external server (like Beanstalk), you will have to transpose all commands from using “file://” to “https://”. Add a new local subversion repository (OPTIONAL). $ svn mkdir file:///var/subversion/example.com/trunk -m "added trunk"
$ svn mkdir file:///var/subversion/example.com/branches -m "added branches"
$ svn mkdir file:///var/subversion/example.com/tags -m "added tags"
Create a vhost location on the server for the Drupal installation. $ svn co file:///var/subversion/example.com/trunk . $ svn commit -m "downloaded drupal"
$ svn commit -m "added contrib folder and apachesolr module"
$ mysql --execute="create database db_example"
$ mysql --execute="grant all privileges on db_example. * to 'example-user'@'localhost' identified by 'some_password'"
Reset Apache file permissions. NOTE: you will need a more solid/secure configuration for this! At this point, you should be able to browse to your site and it will be up and running. Now we move onto Tomcat and Solr. 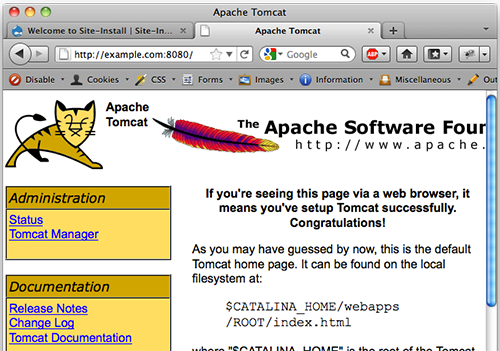 Installing Tomcat and Java. The default Centos yum repositories provide Tomcat5. I prefer Tomcat6, so there are some extras steps below and a dependency issue I had to resolve. 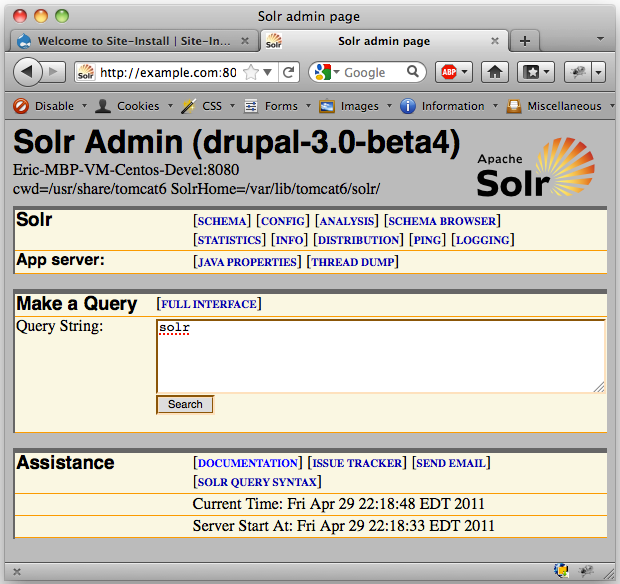 Edit default Apache Solr Host Settings: URL: http://example.com/admin/config/search/apachesolr/server/solr/edit Change url to: http://example.com:8080/solr, and save form. 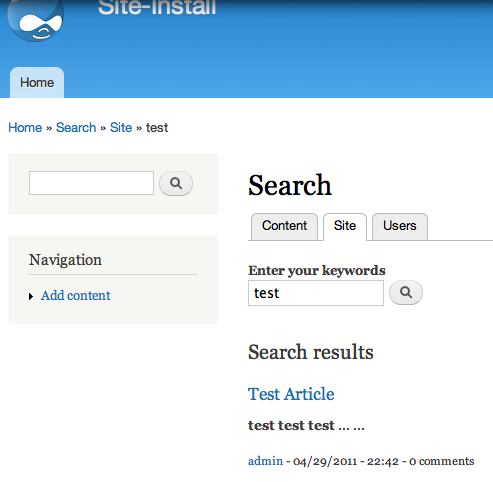 Go to Drupal search settings page: URL: http://example.com/admin/config/search/settings Change the default search mode to “Apache Solr search”, and save form. 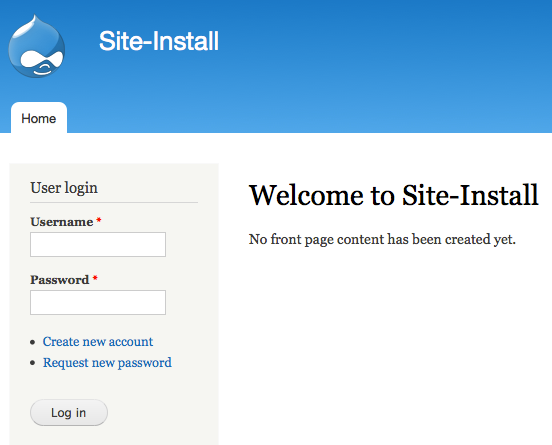 Now, you are ready to test the indexing and integration. 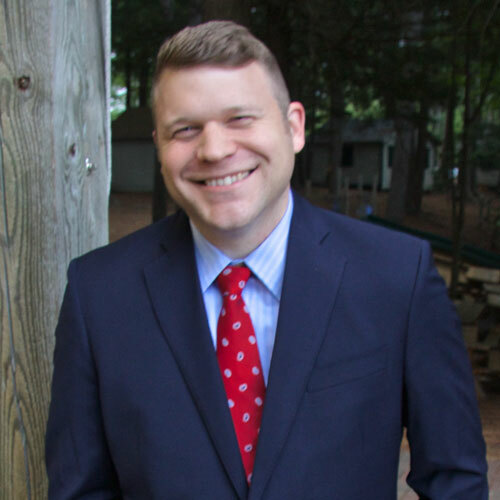 Add a new piece of content to test indexing. If you need to run multiple sites off a single Solr Tomcat installation, you can setup multicore..